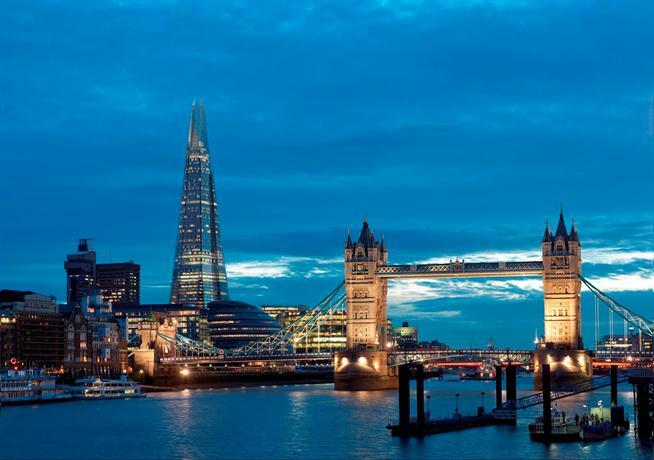 London, the capital of England, is a really popular travel destination mostly because of the way it perfectly juxtaposes the old with the new, the way modern architectures stand alongside monuments that have been standing since the days of the Roman Empire. This gives one the delightful feeling of constantly walking with one foot in the present and the other in a romantic past. Some of the great wonders to behold, while in London, are the Big Ben Clock Tower, Westminster Abbey, the Thames River, and the London Eye Observatory Wheel. London is also quite a sprawling city, and as such it’s important that when you visit you should stay in a location that is equidistant from the various attractions of London. In addition to the location, which is crucial, it is also important that your stay itself should closely mirror the majesty and romantic classicism of the city itself. 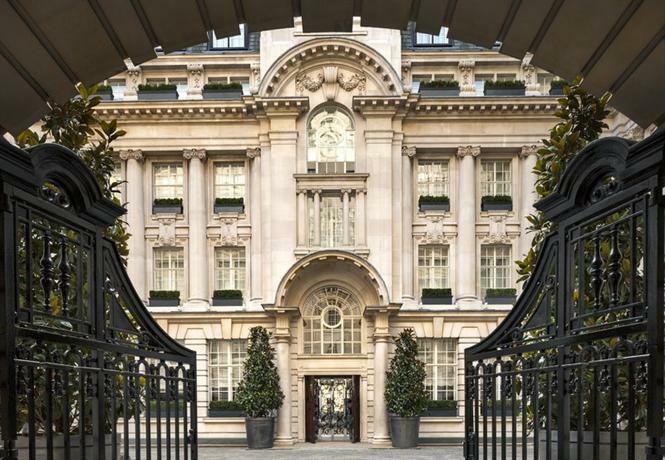 As such, we’ve compiled a list of the top 10 luxury hotels in London. You can go through this list and make a more informed decision about which hotel you’d like to stay at so as to really make your stay grand! 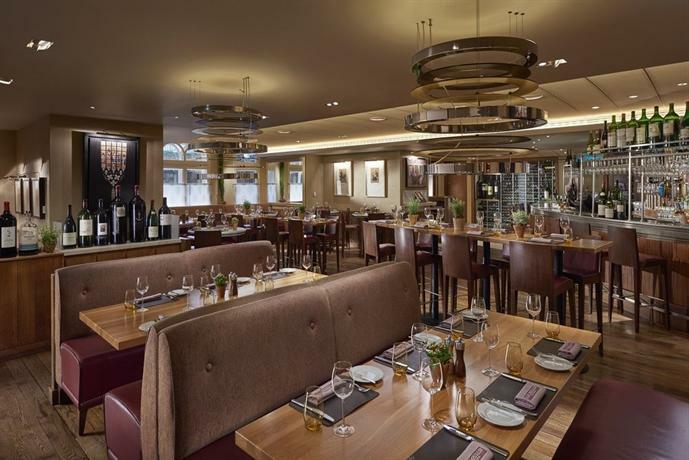 Rosewood is located in the deeply historic neighborhood of Holborn. It is a very short distance from prime historic attractions like the British Museum, and St. Paul’s Cathedral. The architecture and structure of the hotel itself has Edwardian and Renaissance influences, having been built back in the 1910s. The entrance to the hotel is built in the style of a carriageway, and the entire hotel itself, along with its neighborhood, is simply brimming with Old World beauty and charm. If you’re someone prone to romanticizing the past, and if you appreciate ornate architecture as opposed to minimalism, this is definitely for you. In addition to the old-world charm and the connectedness of the hotel, it also features great customer service, and one of the best breakfasts in the city. As you stroll through the corridors of the hotel you can also feast your eyes upon their collection of artworks, each depicting a particular point in British history. For those who travel with their darling pets, fear not, the Rosewood hotel is also extremely pet-friendly and offers them welcome treats immediately upon entering the premises. The rooms are well equipped, with Nespresso machines, WiFi connection, and luxurious toiletries. However, if there’s one complaint against this hotel, it’s that they don’t offer a personal butler service to each guest. This hotel definitely has great brand value and recognition because of all the celebrated guests it usually hosts. One of its key facets is the fact that it is located within walking distance of most of the major tourist attractions, such as Buckingham Palace and Hyde Park. This means you’ll be within walking distance of most of the important parts of London. They also have a really lovely staff, always helpful and always empathetic. 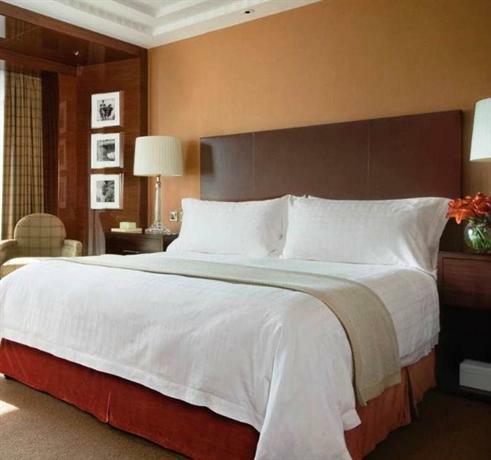 If you’re tired of exploring the city and just want to stay in and get pampered, you’re at the right place. You can drop your kids off at the care center where they can help themselves to books and toys, while you go get yourself some much needed “me-time” at the resident spa. The rooms are designed in a modernist fashion with private terraces, luxurious amenities available in the bathroom, and even an arrangement of the lovely Amaranto plants. In fact, all the rooms in the hotel offer stunning sights as well, be it the Big Ben clock towers, or the London Eye Observatory Wheel. Another one of the hotel’s quirky yet charming traditions is the serving of the afternoon tea, which is a great means of mixing with other guests as well. 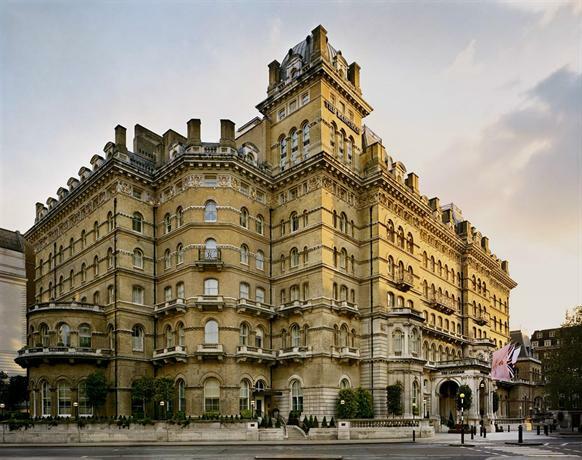 This is one of London’s most critically acclaimed hotels, and the fact that it was built way back in 1889 almost renders it into a historical monument itself. It serves mostly business travelers, and as such it is positioned well within the very heart of London, so that the National Gallery, Piccadilly Circus, and the London Eye, are all within walking distance from the hotel. However, you can also stay here if you’re looking to mingle with a more hip crowd at Soho. If you enjoy some theatrical entertainment, the hotel’s neighborhood is thriving with a bunch of theaters performing regularly. The river-facing side of the hotel is Edwardian in style, whereas the side of the hotel facing the Strand is replete with Art Deco motifs. This injects the hotel with some personality, whereas the modern refurbishments and touches keeps it firmly rooted in the present. The hotel also has a few endearing and charming touches that sets it apart from the rest. One of the rooms, which was often frequented by Shirley Bassey, features her portrait with a quote of her appreciating the hotel. Another room always has an arrangement of 12 pink roses, something their guest Marlene Dietrich often requested. As such, every rooms has a story to tell, if you choose to listen. 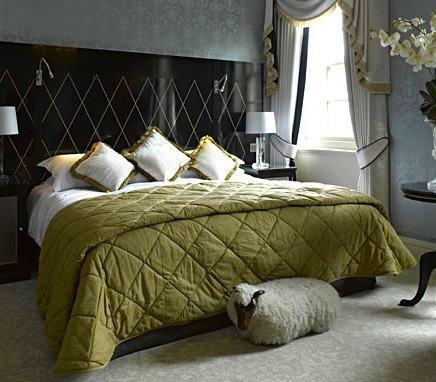 Depending on the room or suite you choose, you can be lavished with either a countryside view, city view, or a wide view of the River Thames. Furthermore, you can also request a private butler for yourself if you so choose. This boutique hotel is located in a prime location — Tilney Street, near Park Lane — and as such it can occasionally get a little noisy with the sound of traffic. However, if you don’t mind the dim noise in the background, you’ll be pleased by its connectedness. Hyde Park Corner Underground station is within a few minutes by foot, and along the way you’ll also find plenty of lovely restaurants and shops. 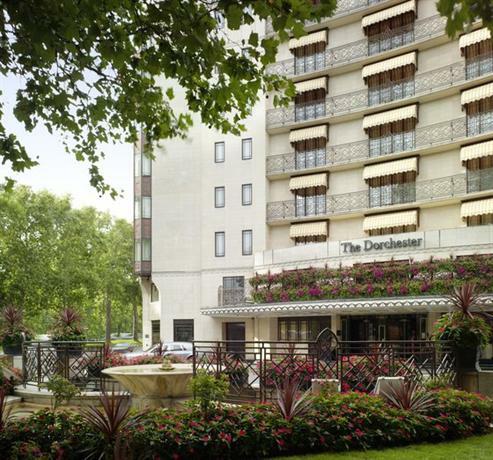 The Dorchester was made in 1931, and as such is imbibed with a distinctly Art Deco sense of style. The service is consistently casual yet superbly efficient. 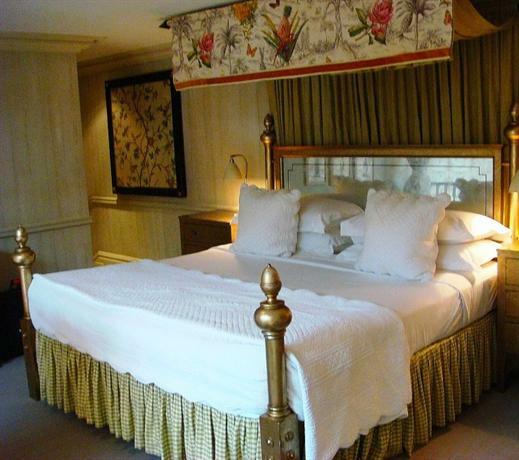 The rooms are decked up in a Classic English style, in a manner that feels effortless yet entirely elegant. Even the decorations around the hotel are constantly in a state of flux, constantly morphing and changing with the demands of the seasons. This keeps the hotel always feeling current and relevant. The hotel features a total of 250 rooms and suites, all of which are dripping with opulence and kitschy charm. The bathrooms always seem like they’re shimmering as a result of all the chrome plates and white marble. The bath tub is deep enough and large enough for you to sink into. This is rightfully one of the most revered and respected hotels in the world, and with good reason. They also have several great restaurants — Alain Ducasse is a three Michelin-starred restaurant that serves French cuisine; The Grill is aptly titled for its service of grilled meat; and China Tang serves lovely Cantonese dishes. The prime attraction of this hotel is the fact that most of the rooms offer a stunning panoramic view of the River Thames. Because it’s located in the South Bank, it’s quite far from other famous attractions like Hyde Park and Portobello Market. However, in lieu of those attractions, you can access other popular landmarks like London Bridge, and the Tower of London. The hotel occupies the floors 34 through 52 in a 95 storey high-rise, and as such the rooms, with their floor-to-ceiling glass walls, offer views of the River Thames, and the whole of London seems spread out underneath you. The rooms are grand with floor-to-ceiling windows, heated floors, showers, and separate bathtubs in a completely marble tiled bathroom. If you want to spend a day indoors, you can also find a fitness center, several cafes, a spa, or an infinity pool. If you want some casual snacks like pastries and croissants, then you can go over to their LÁNG cafe. However, there are plenty of options for some hearty meal as well. One of the greatest attractions of this hotel is the fact that it has hosted guests as distinguished as Audrey Hepburn, Bing Crosby, and even royalty such as Queen Victoria herself. As such, the hotel serves a distinctly elite group of people. Besides the impressive roster of guests, the hotel also features a Michelin-starred restaurant with cuisine that is sure to surpass all your expectations. You also have access to a spa, a bar, and a 24/7 concierge service. The neighborhood also features several Art Galleries, restaurants, and shopping centers. This hotel was renovated only recently in 2000, and that’s a good thing too because ever since it has established itself as a prime and elite force in the world of Luxury Hotels. The hotel generally embodies a very Victorian aesthetic, and it features “Foliage”, a renowned Michelin-starred restaurant. Besides the stellar rooms and restaurant, you can also access their pool, spa, terrace, gym, or onsite parking. The hotel is located in a very accessible area, overlooking Hyde Park, and as such it’s ideal for those who want to remain connected to prime London. 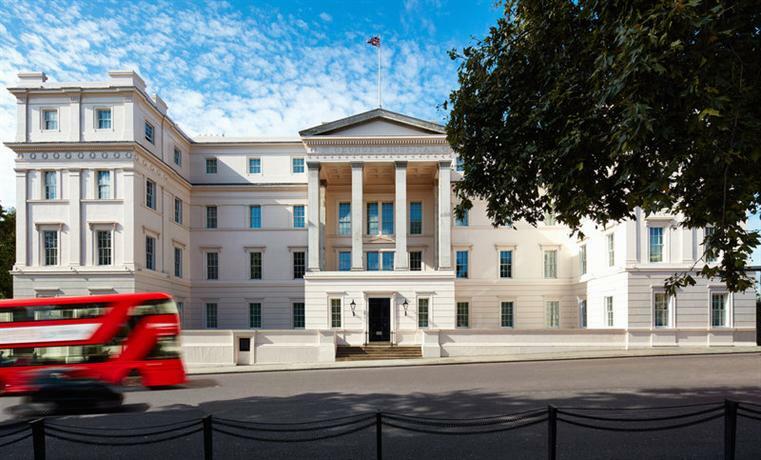 This hotel is located in central London, and one of its most infamous attractions is “The Lanesborough Suite” which can be all yours for a night at the price of £18000! Other than exclusivity, the suite will also bring you access to a complementary concierge service and a Rolls Royce to drive around in. Its restaurant — Apsleys, a Heinz Beck Restaurant — is famous for having received a Michelin Star within five months of opening, thus establishing a world record. Managed and run by hoteliers from Hong Kong, this hotel is ideal for you if you prefer to be surrounded by an Asiatic and Oriental aesthetic. The hotel also has a lovely restaurant, and a romantic cocktail bar by the name of Artesian. 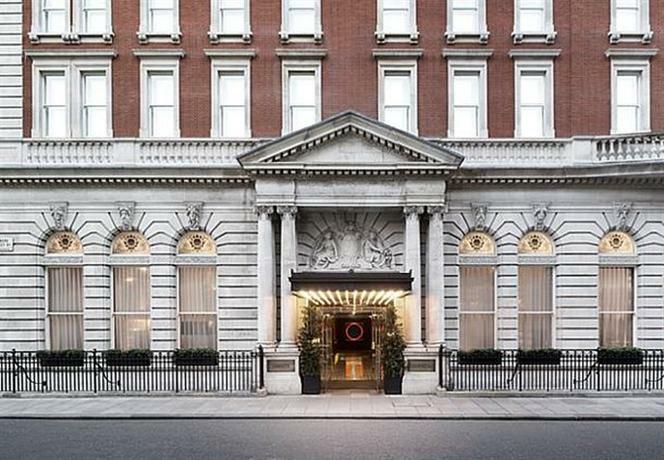 The hotel is in one of the most desirable locations in all of London, positioned within close quarters of Oxford Street, the village-like aesthetic of Marylebone, and the heady nightlife of Soho. The Langham has been an exquisite well-oiled machine since its establishment back in 1865, and that isn’t likely to change any time soon. Perhaps the biggest draw of this hotel is the fact that all guests have complementary around-the-clock access to personal butlers. That is perhaps one of the many reasons it can justify its incredibly high rates. The rooms feature a gentle pastel-shade aesthetic which immediately makes the hotel feel radiant and vibrant, whereas the bathrooms bear modern Thassos Marble tiling. 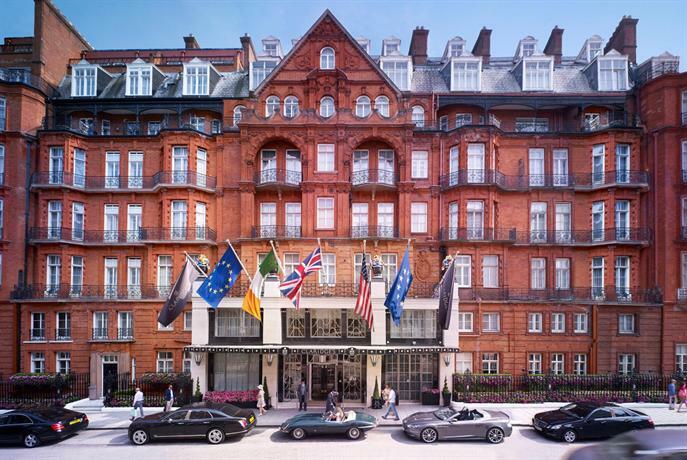 The location of the hotel also works greatly in its favor as it’s located within London’s Mayfair neighborhood, close to Hyde Park, and as such it is quite accessible to all the different attractions of the city. The Ritz is truly a luxury hotel that can appeal to one and all, without exception. One of their greatest assets is their lovely and charming afternoon tea, which harkens upon tradition but also fulfills our very modern need to network with people from all walks of life, and people from across the globe. The hotel seems like it’s constantly buzzing with excitement and activity, yet still manages to seem dignified. Located right behind The Ritz is the William Kent House. The general color palette of the rooms feature bright pinks, baby blues, and yellows. Previously known as Hôtel Métropole, this hotel has been much in demand since way back in 1885, when it was first established. However, it has seen some changes and refurbishments, naturally, and that includes the name change. The location is quite fortunate, placed within walking distance of the River Thames and the Charing Cross Station, one of the most used stations in all of London. If you want to go sight-seeing, you don’t even need transport. You can walk on foot to Trafalgar Square, the Houses of Parliament, and other famous attractions. The hotel’s interiors are opulent and luxurious with massive chandeliers, modern works of art, a salon, and two primary eateries. This is the boutique hotel you need to go to if you’re in London to shop and splurge. The hotel itself is located on a trendy and quirky street called Monmouth Street, with its distinctive cobbled pavements and French restaurants, which makes the whole place seem wonderfully ancient. 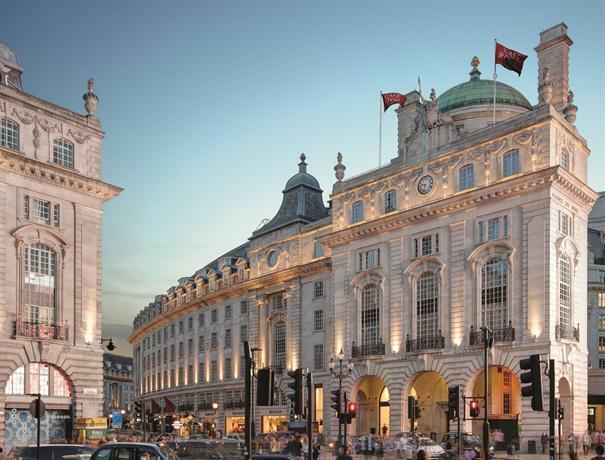 Within walking distance are the Royal Opera House, the River Thames, and several high-end and entertaining theaters. In other words, this hotel can offer you some high-end services, along with a populist fare. The owners of this hotel — Tim and Kit Kemp — describe this as a “quirky” hotel with a modern outlook on the classic English style. This statement could not be more true. 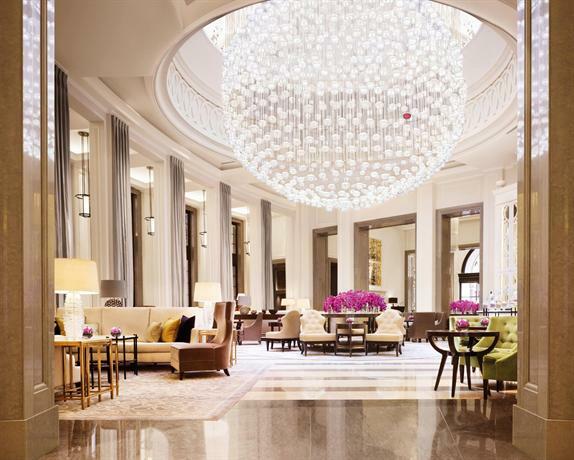 This five star hotel is only a few steps away from the Buckingham Palace, and as such it’s one of the primary tourist destinations in the city of London. The hotel itself is encircled by lush lawns with flowers and shrubbery. One of the main attractions of this hotel is just how much of a humor it has about it. Though it’s considerably luxurious, it never seems to be taking itself too seriously. In some rooms you might find giant sheep staring down at you, or you might find some rubber ducklings floating in a bath tub. These are the little quirks that make The Goring what it is. 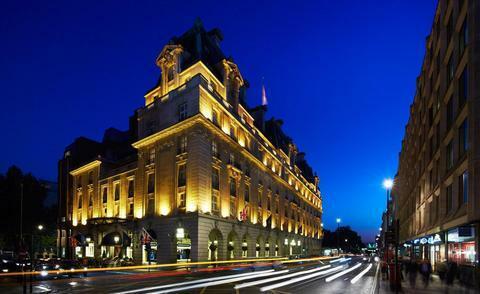 The London Edition is a grand luxury hotel set off across Oxford Street. It’s a few minutes from Soho, by foot, and it’s also quite close to other great neighborhoods such as Charlotte Street and Fitzrovia. The stucco ceiling of the hotel lobby has been restored rather than having been created anew. This does its magic because the hotel feels wonderfully authentic in experience. The restaurant is also quite lovely with a large space and lovely paintings on the walls.